A few months ago Bhakti Mathur, author of the Amma Tell Me series, sent me the Amma Tell Me series ten book set. 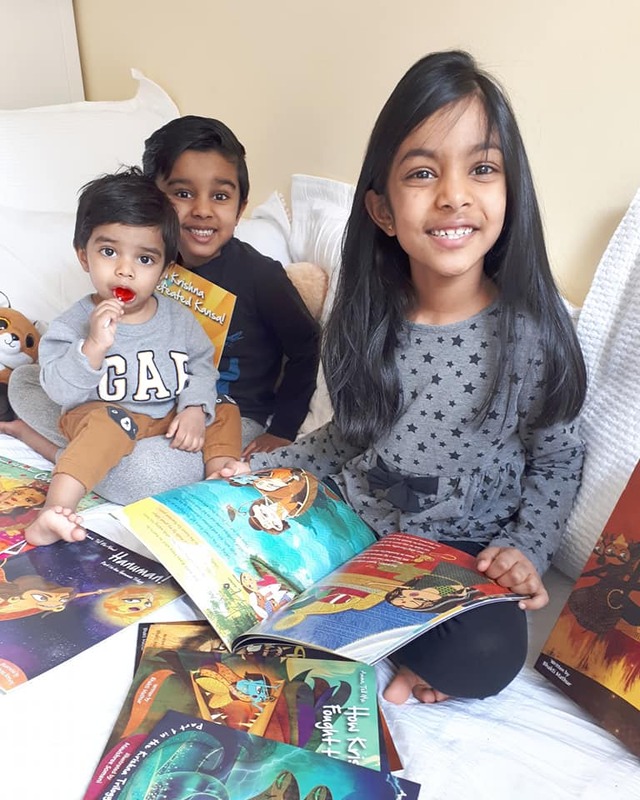 I cannot express enough how delighted Akshaya and Udayan were to receive such a generous gift especially because these two are quite interested in learning all they can about the Hindu Gods and Goddesses and the associated myths. 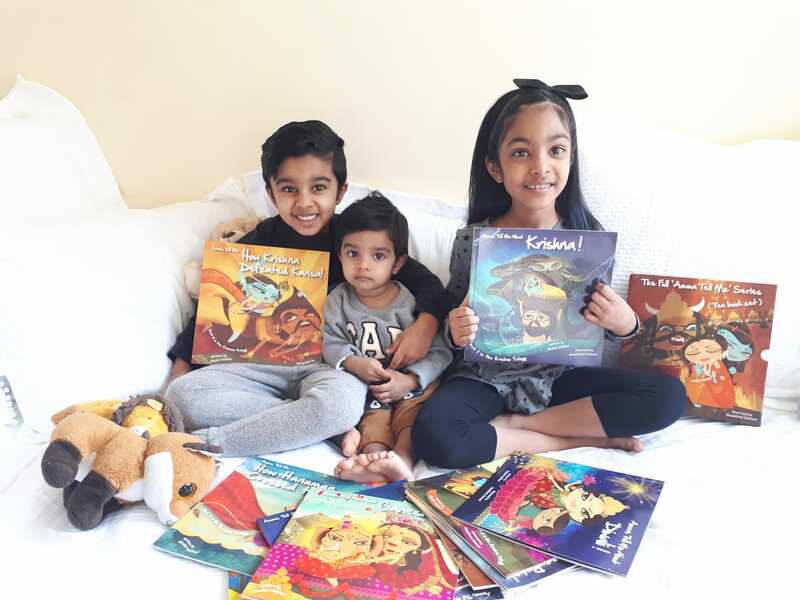 Most of my readers are well aware that I am always on the look-out for books written for South-Asian kids so that I may use them as teaching tools to integrate our rich and diverse culture and religion into the lives of my children. 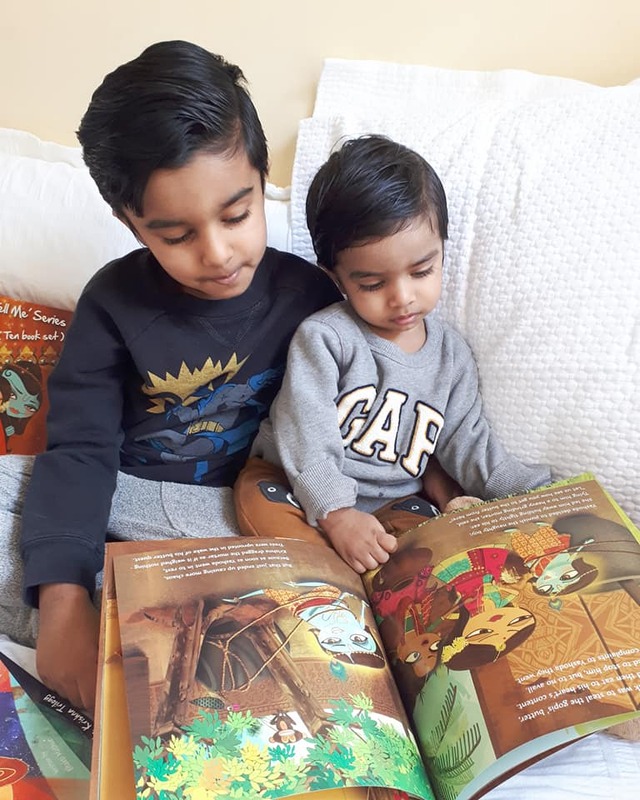 Over the past couple years, I have stumbled upon some great children’s books and as a South-Asian mother it makes me so happy that authors are writing the kind of books that I never had growing up. The Amma Tell Me series of books is one such great find! The Amma Tell Me Series is a fun and educational series of children’s books for those aged three to nine. 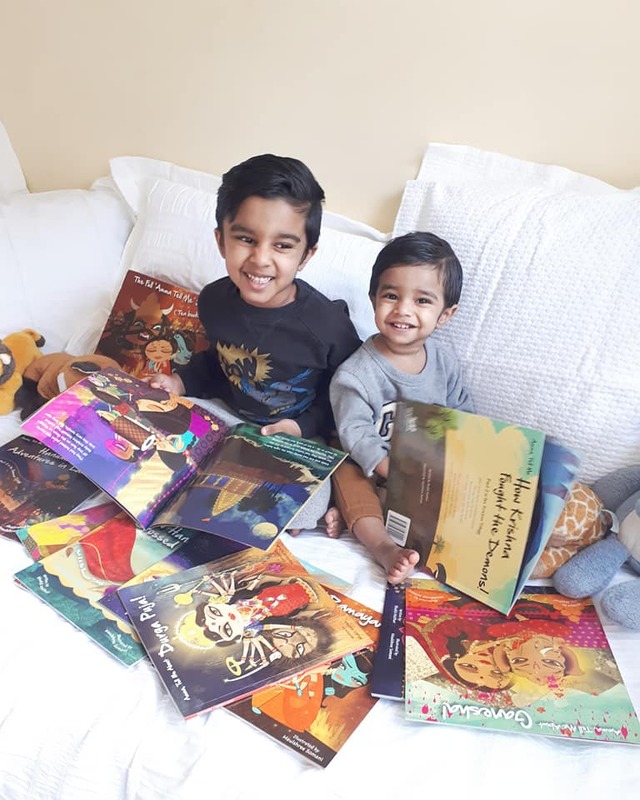 Author, Bhakti Mathur, began writing the series when she couldn’t find children’s books on the Hindu festivals that were also suitable to read to her two young sons. You can be sure each book in the Amma Tell Me series is not only informative and appropriate for young readers but also fun to read. 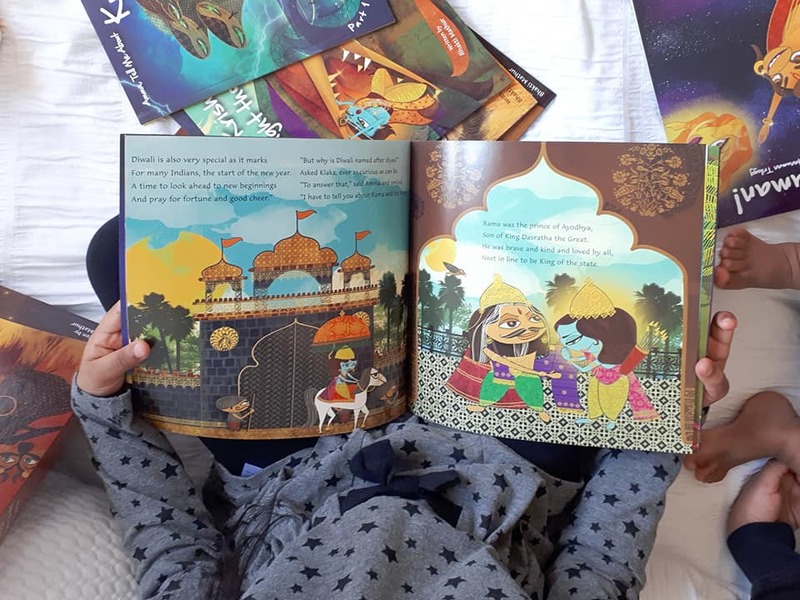 Even little Achyuthan loves looking through the colourful pages! 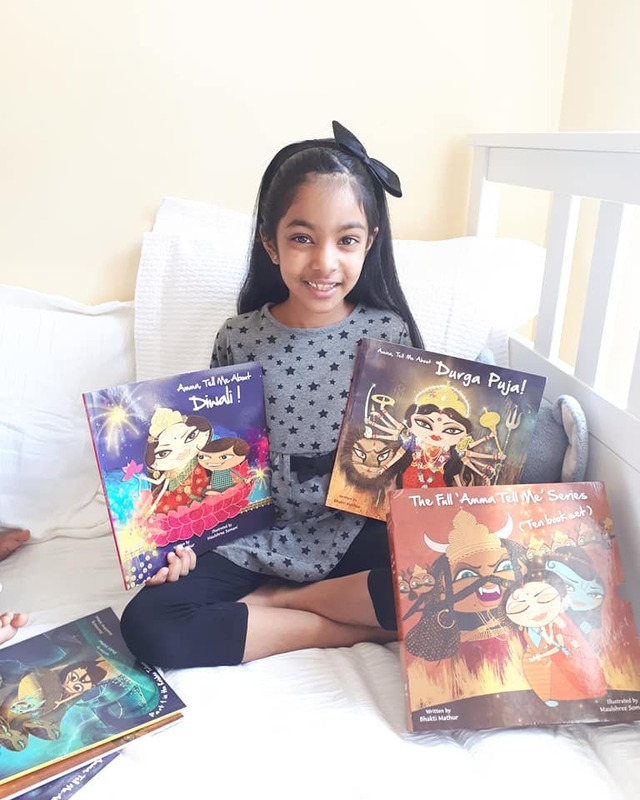 The series introduce young readers to the primary Hindu festivals and holidays as well as the primary Hindu Gods and Goddesses through rhyme. The bold and vibrant illustrations by Maulshree Somani are just absolutely stunning. Somani’s attention to detail is impeccable! I truly believe a good children’s book needs captivating illustrations, and the Amma Tell Me series does not disappoint. The books cover the major Hindu festivals of Diwali, Navarathri, and Holi, the great epic, Ramayana as well as the birth of Ganesha, Krishna, and Hanuman. 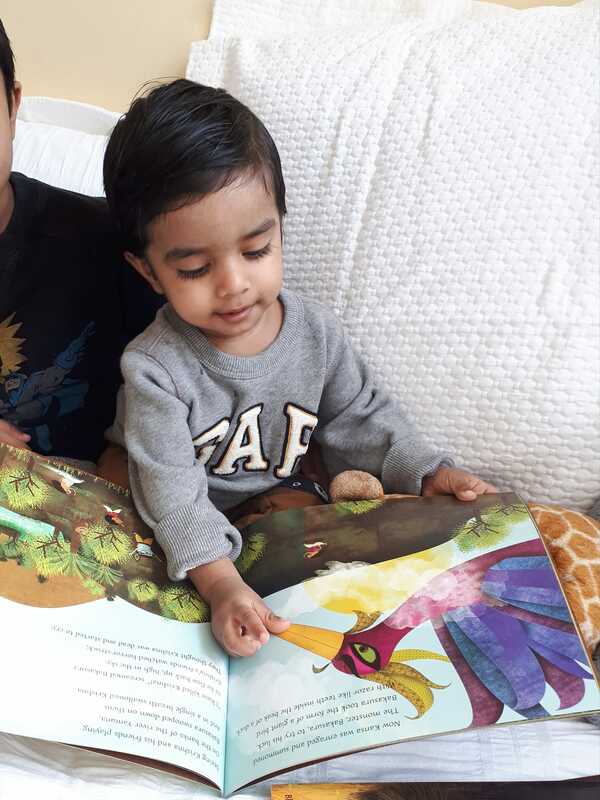 The books can be purchased individually or as a set or 3 or 10, allowing you to choose the books that perfect for your family. As a Tamil Hindu, I found that the story of Navarathri/Durga Puja and the story of Diwali are quite different from what I was told growing up, however the stories about the Ramayana epic and the stories describing the Gods were exactly the same as I remember having heard them. I love that even though the books are paperback, they have quite a sturdy cover and good quality pages that will last us through many, many reads. The pages have a nice weight to them as well as a nice sheen. 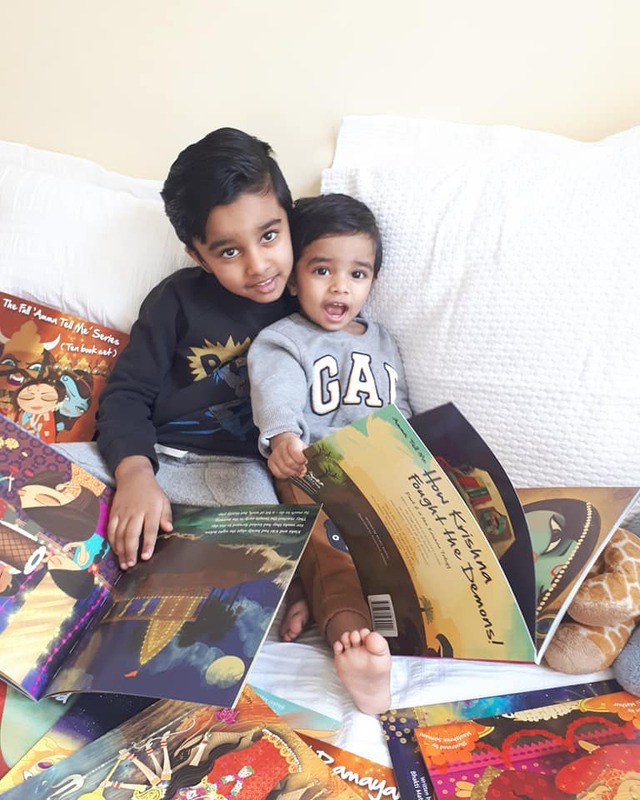 Each and every page is filled with brightly coloured, bold, and detailed illustrations that truly help capture the interest and imagination of the littlest of readers. 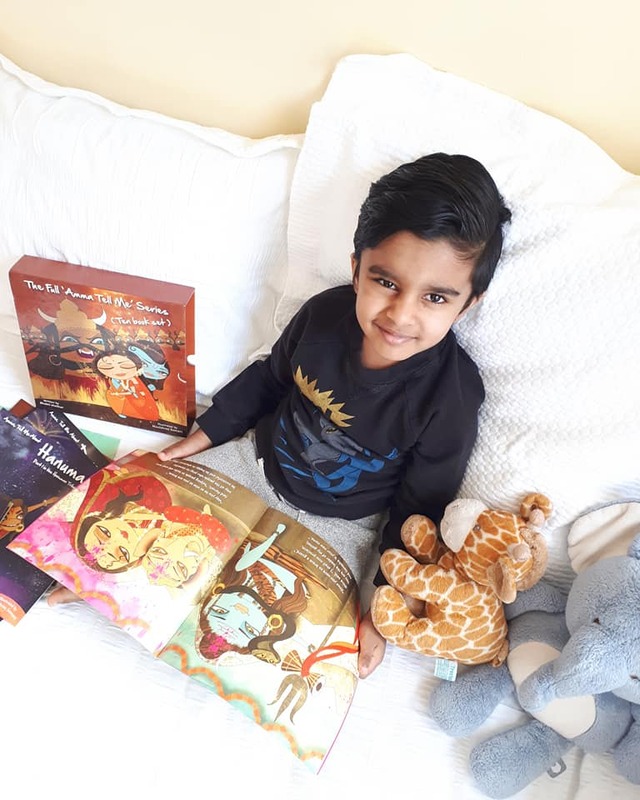 Akshaya and Udayan have learned so much from reading these books over the past month and we have had some great conservations in regards to the myths that we have read. If you are looking for Diwali, holiday, or birthday gifts for the young readers in your lives, I highly recommend purchasing the 10 book set. Amma Tell Me How Krishna Destroyed Kansa! The 11th book, Amma Tell Me About Durga Puja, can be purchased separately. Those living in Australia, Hong Kong, India, Singapore, The United Kingdom, and USA can purchase books directly from the Bhakti Mathur website here. Canadians can purchase books individually or as sets from the Indigo-Chapters website here or on Amazon here.